Urban Exposure completed a £66.9m loan for a residential development in central Birmingham, providing financing to award-winning UK housebuilder Galliard Group for a mixed-use residential and commercial development at Timber Yard. The loan was signed in Q4 2018 and formed part of the £522 million of new loans Urban Exposure completed between its IPO on 9th May and year end 2018, as detailed in its Lending Update announcement dated 31 December 2018. Last year the Company also provided a £40.2 million senior development finance facility to SevenCapital for a 228-unit residential scheme at St Martin’s Place in Birmingham, meaning Urban Exposure has provided a combined total of £110m in financing to property developers in the city since its IPO in May 2018. Timber Yard, located in Birmingham’s city centre Southside district, is a mixed-use scheme. Planning permission is in place for 379 one, two and three-bedroom apartments and 6,257 sq ft of commercial space at ground floor level on a 1.58-acre site. The development has been designed by Claridge Architects, and will comprise two residential buildings and exhibit signature designs providing premier specifications. “We are delighted to be financing a further impressive development in the UK’s ‘second city’. At a time when Birmingham is expanding rapidly, the need for funding has thus far failed to meet its needs, and so we are proud to have provided £110m of funding for ambitious projects in the region so far. We have a strong pipeline of projects and look forward to announcing further developments in the region in the coming months. 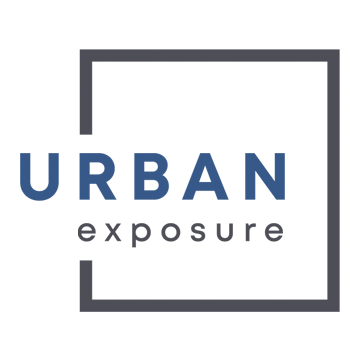 Urban Exposure recently conducted a study which revealed that West Midlands developers will need to find an additional £15 billion if they are to increase output to hit the Government’s housebuilding targets. Last year, Chancellor Phillip Hammond announced a new target to build 215,000 homes in the region by 2030/1, meaning an additional 9,827 homes per annum will need to be built – on top of the average of 6,711 homes currently constructed each year. Further details on the research can be found here.